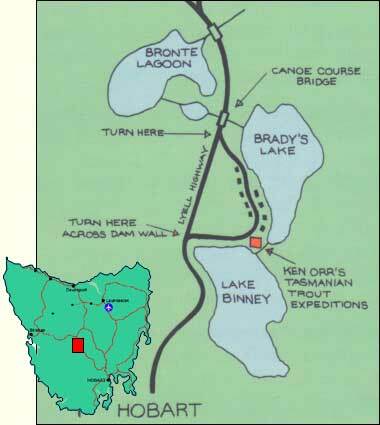 Location Map and Directions - Orrsome Tassie Trout. We are approximately 150 kilometres from Hobart on sealed roads (2 hours) travelling or 2 and a half hours from Hobart Airport. We are approximately the same distance and time from Launceston but have to travel gravel secondary roads to reach Brady's Lake.